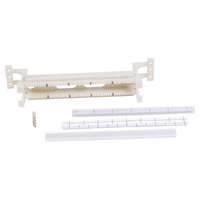 Complete S110 installation kits are available which include S110 wiring blocks with detachable legs (50- and 100-pair version only), S110 connecting blocks, and clear label holders with white designation labels. 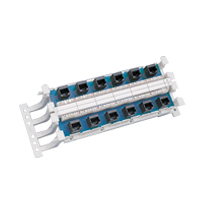 The S110 modular jack block provides a pre-wired distribution solution for network applications. 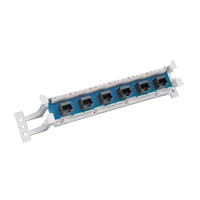 The modular jack block can be wall mounted and is typically used to connect horizontal cabling to network equipment. 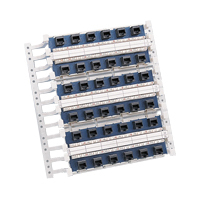 Connections are made by terminating 4-pair horizontal cables to S110D connecting blocks and by patching to active equipment. 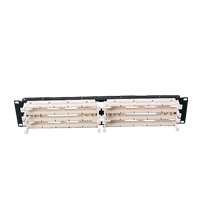 Hubbell’s 110 Cross Connect system is a flexible, reliable and economical, high-density system that exceeds the ANSI/TIA/EIA-568-B.2 Category 5e component performance specifications. 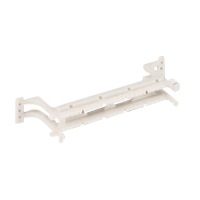 110 systems are used to cross connect and manage communications equipment wiring in the telecommunications closet and main distribution frames or as a consolidation point. 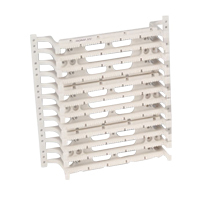 Specifically, 110 systems are for voice and data applications where limited space prevents the use of a relay rack, or when a permanent cost-effective solution is desired versus the modularity of a patch panel. - Cable access openings allow cables to be routed through wiring blocks directly to point of termination. 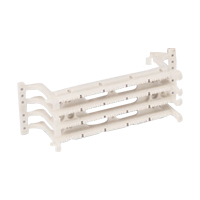 - Wiring blocks available with or without detachable legs which can be removed during or after termination. 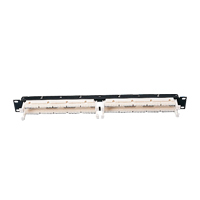 - Field terminated patch plugs allow custom length patch cords to be assembled in the field. - High definition color coding and tip and ring designation make conductor placement and termination simple. - Complete Hubbell Labeling Solution includes software, laser-printable sheets, and clear covers (order separately). 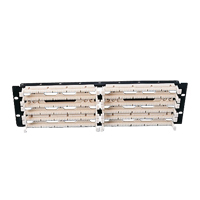 - Provides a reliable, cost-effective, front terminated solution. - Total interoperability with existing 110 systems. 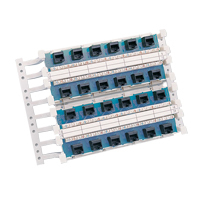 - Flexible solution consisting of 50-, 100-, and 300-pair wiring blocks, 4- and 5-pair connecting blocks, and a complete line of accessories.